There can be little to replace the one-to-one relationship between teacher and pupil, but in the past few years there has been an increasing demand for a self-tutor for the small harp from students who live in areas where, for one reason or another, a teacher is not regularly accessible. Also musicians, who can already play the instrument, have expressed interest in the traditional style techniques used in Scottish and Irish music. •	Advice on buying and maintaining a clarsach. 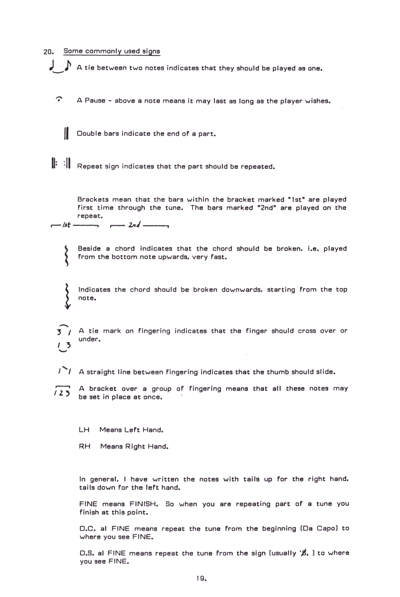 •	A basic guide to Musical Notation. •	Instruction on sitting at the harp, arm, hand and finger positions. •	Lessons and exercises for two, three and four fingers. 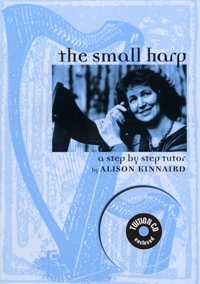 •	Chords, scales, arpeggios and moving around the harp. 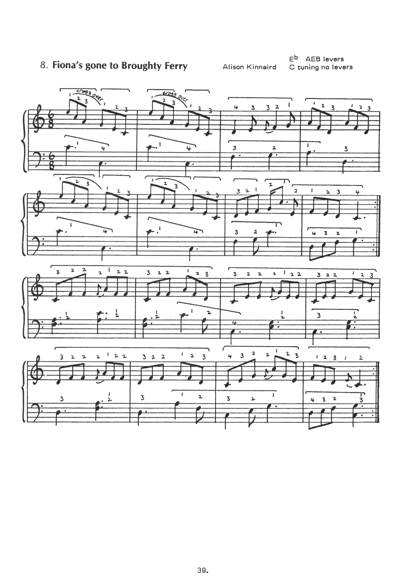 •	A section on ornamentation in the traditional style, with exercises on simple to advanced grace-note techniques. •	40 tunes, varying from elementary to advanced. •	Historical notes and information on the tunes. •	Advice on arranging music. •	The accompanying CD demonstrates the lessons in the book. One of Scotland’ s leading clarsach (small harp) players. She has a degree in Celtic Studies and Archaeology, and studied the Scottish harp with the late Jean Campbell from the age of 14. She has made three records and has published collection’s of music, all of which draw on her historical research into the Scottish harp, her deep knowledge of traditional music, and her insight into the expressive nature of the instrument. Her records were the first to re-explore the clarsach as a solo instrument within the Scottish tradition. Received with much critical acclaim, they have done much to encourage the growing appreciation of Scottish harp music.